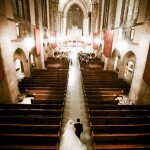 No matter what photographer or wedding package you choose, all our clients receive personable reliable and attentive service, a photo app preview for your smart phone or tablet of the best 20 photos with creative edits (Ex: black and white, sepia…etc), travel included with-in 60 miles of Chicago’s city center and your fully edited high-res JPGS for you to download or via DVD/CDR. Please choose an option below to view the Professional Portfolio of a photographer or Videographer. Please don’t hesitate to Call or email Robert with any questions you may have: 312-738-0104.